As if we needed to be even more antisocial (thanks alot iPhone), the travel industry is all abuzz about the controversial Google Glass, thanks to its translation of a sci-fi gadget into the real world. Ever since its introduction in 2012, Glass has been asking (and answering) some questions on how hands-free and wearable technology can create better travel experiences. While the design is pretty naf, it’s only the first version, so I guess we should really give Google a break. Even more naf though is the fact that people who are using them do look a little crazy and cross-eyed talking to themselves. But then again, that’s what we all thought at the advent of hands-free kits and Bluetooth headsets. The question now really is: Will Glass become a thing (the way iPhones have changed the world), or is it all just hype? Privacy and airport security issues aside, the rather nifty contraption is pretty cool. I mean, just watch the video! While it won’t be rolling out the shops anytime soon, Google is currently conducting Glass tests across a bunch of ‘explorers’ as well as businesses. 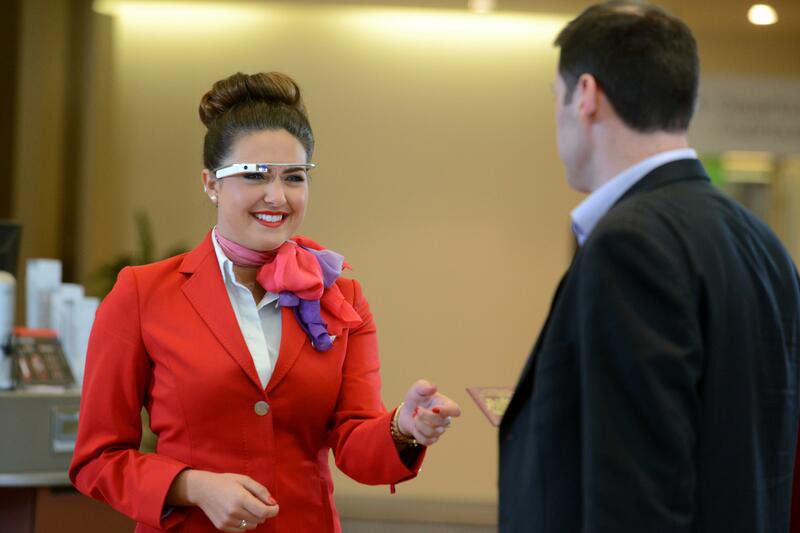 Said to be the first in airline history, Virgin Atlantic started testing Google Glass for six weeks in February 2014. Upper Class passengers are greeted by name by Virgin Atlantic Heathrow staff, who wear the technology in order to start the check-in process. Virgin Atlantic lounge staff are also able to update passengers on their latest flight information, weather and local events at their destination, plus translate any foreign language on the go. In future, the technology could also tell Virgin Atlantic flight staff their passengers’ dietary and refreshment preferences – anything that provides a better and more personalised service. Hmmm, so nothing a normal computer/smartphone couldn’t do then… except it’s wearable. If you’ve watched the video, chances are you’d be buoyed away by clever marketing and thinking “I want to try that out!”. Well, tough luck, as it’s only open to US Residents at the moment to the tune of USD1,500 (unless of course you’re a US Resident which means you can click here to apply). 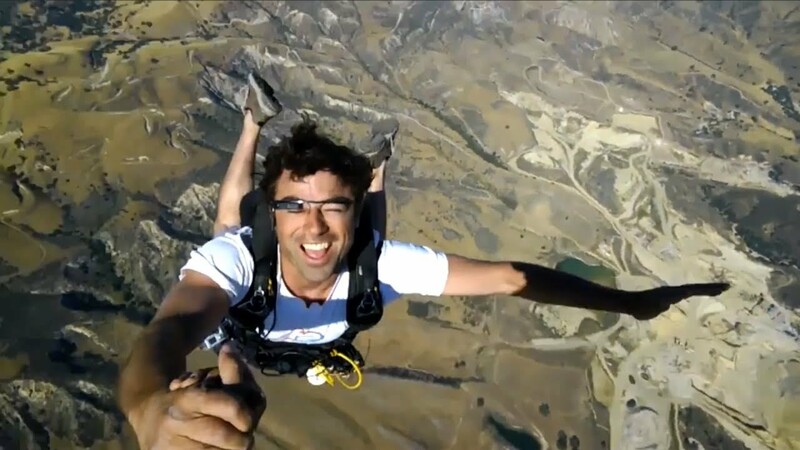 In any case, Google’s been testing how travel (amongst many other industries) can benefit from Glass. Last year, The Beaches of Fort Myers & Sanibel sent five Google Glass Explorers on the ultimate adventure for the Find Your Island Challenge. Participants talked their way through a series of Google Glass challenges; all while kayaking, parasailing, cooking delicious cuisine and capturing beautiful sunsets. So, what else can Glass do? Search for hotels and flights: You’ll be able to pull up all sorts of widgets and even look for hotels while waiting at the airport. Your flight itinerary details, real-time update on delays, directions to gate, and even the time it takes to reach your gate can also be viewed. Record a video like never before: With Glass, taking photos and videos the way you see things is no longer a thing of contortion and aching arms. Use your neck as a swivel and your body as a tripod, but just make sure to frame your subject off centre since Glass’s camera is to your right. Learn more: Download Field Trip and over 70 other Glass apps to help you with everything from local history and information on Wikipedia, connecting on Facebook, send messages via Whatsapp, to finding the latest and best places to shop, eat, and have fun. If you’re anything like me, just the navigation function alone would be worth it, with the added value of not having to take your eyes of the road. Or answering a call while my hands are covered in marinade while making the best Mexican-Korean-Irish burrito whose recipe I just pulled off the internet. Now that, is a winner right there.